A few weeks ago we were in Zurich, Switzerland. We were invited to attend the “Textile & Fashion Days” of the Swiss Textile College in Zurich. Why you might wonder? Because their topic this year is called: Urban Jungle! 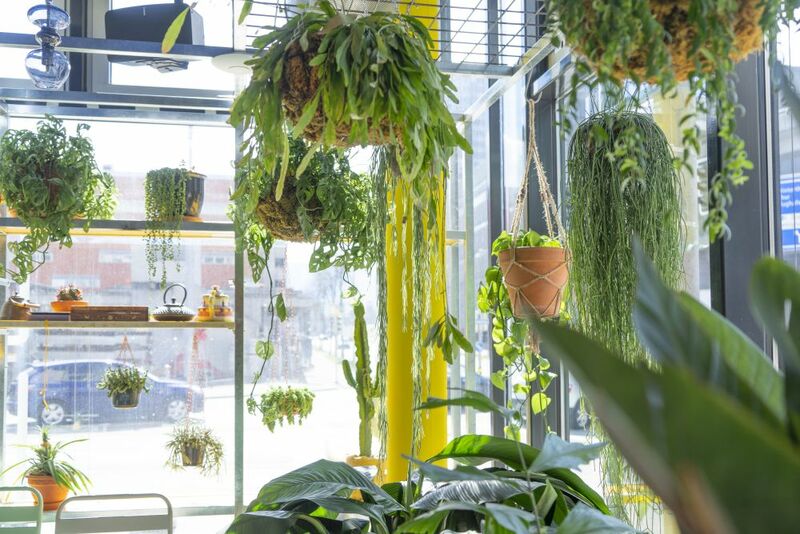 We brought in our plant expertise and spoke about the Urban Jungle Bloggers community and our book and we also hosted a plant hanger workshop. In the evening there was a Slow Fashion Performance in a cool underground urban jungle, full of lush grasses, hostas, greenhouses and soil. You can have a look what that looked liked in our highlighted story on Instagram. We spent the weekend in Zurich soaking up the first sunshine of the season, made a boat tour on Lake Zurich, indulged in Swiss traditional food (at Zeughauskeller), we enjoyed the finest chocolate and visited some of the greenest places of the city. Read on to discover the places we think you should not miss when you’re planning a trip to Zurich. Get yourself a Zurich Card for free or reduced access to 41 museums, unlimited tram, bus, train and cableway, boat trips and more. Ready? Here we go! 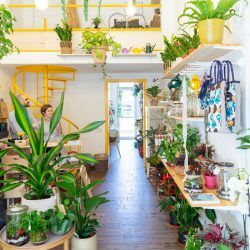 Where to go if you love plants? We start with a walk in the park in the Old Botanical Garden in the middle of the city. 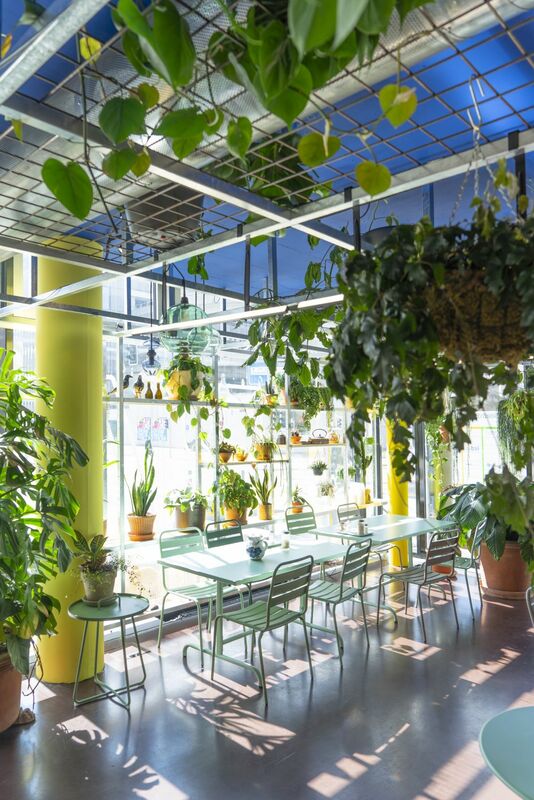 The small greenhouse (closed to the public) houses a nice collection of tropical plants that you can admire through the glass. 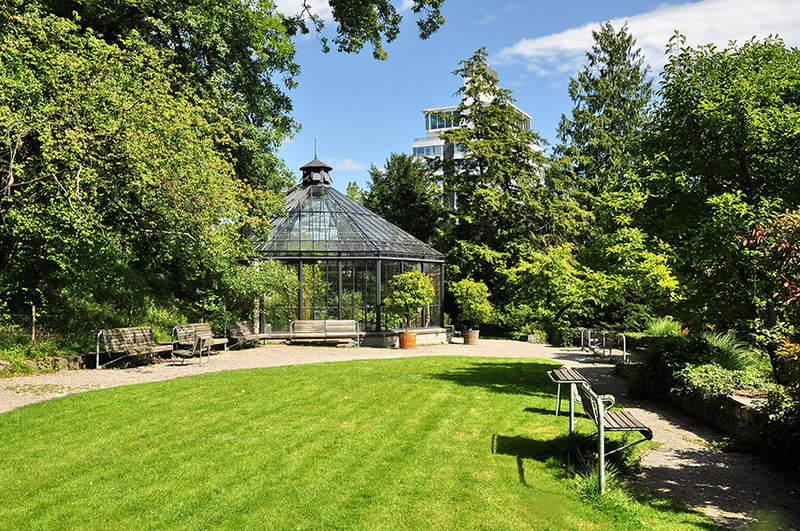 For more parks and gardens in Zurich, check out the Visit Zurich website here. 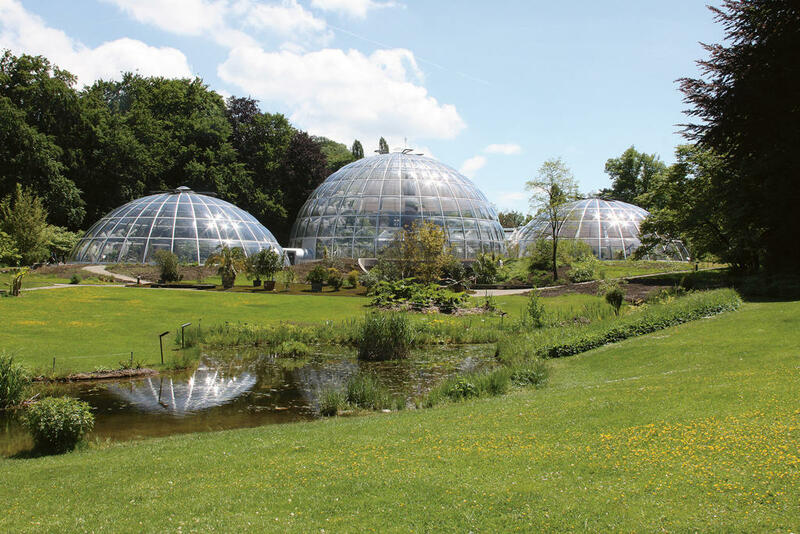 With around 7000 different plant species spread over an area of about 53,000 m2 there is always something to see in the Botanical Garden of the University of Zurich. 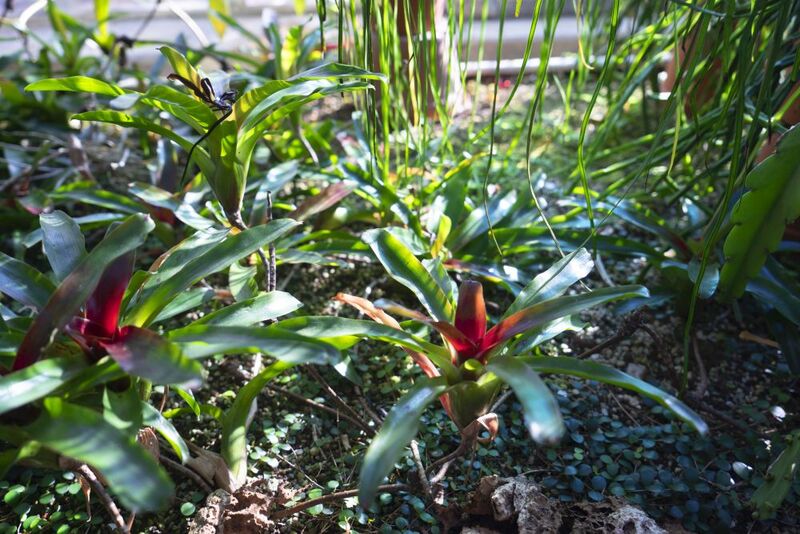 The most interesting part of the garden for us Urban Jungle Bloggers are the tropical greenhouse domes with their lush foliage and desert plants. 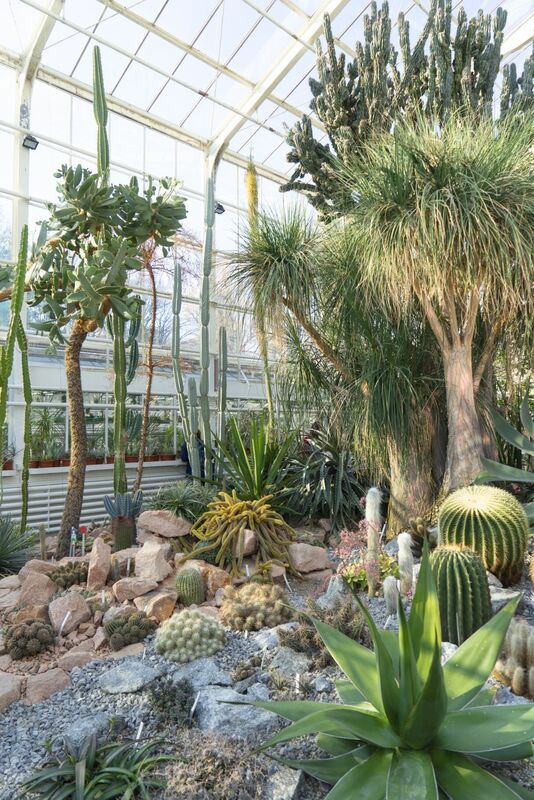 Make sure to visit before 17:00, as the tropical greenhouses close earlier than the garden. A bummer, because we missed visiting the inside of the domes, which looked gorgeous from the outside! 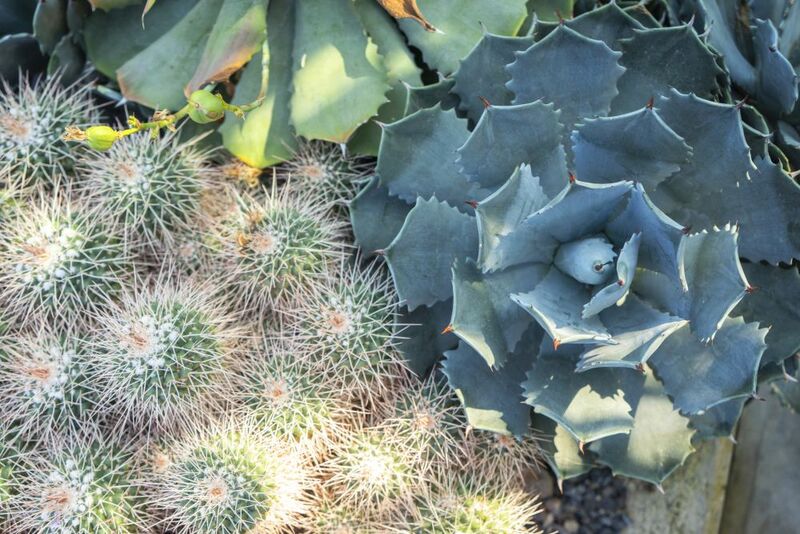 This is a succulent lover’s dream! 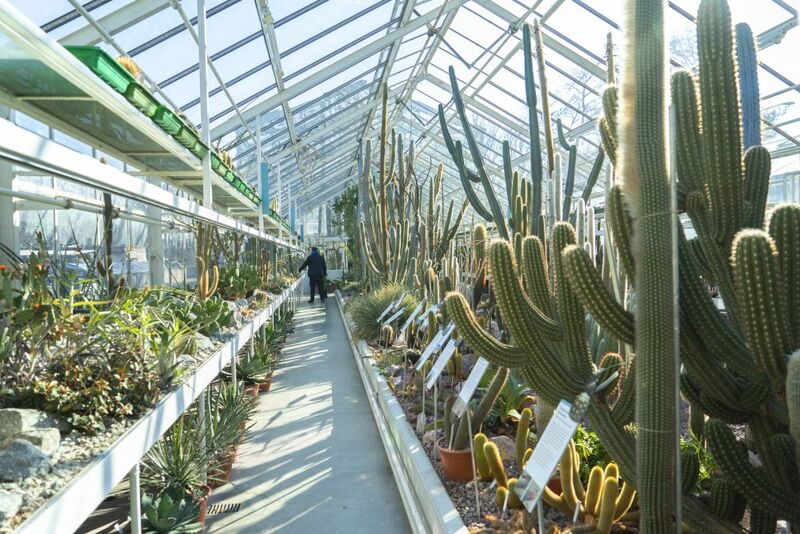 Open since 1931, the “Succulent Collection Zurich” houses one of the largest collections of succulent plants in Europe. 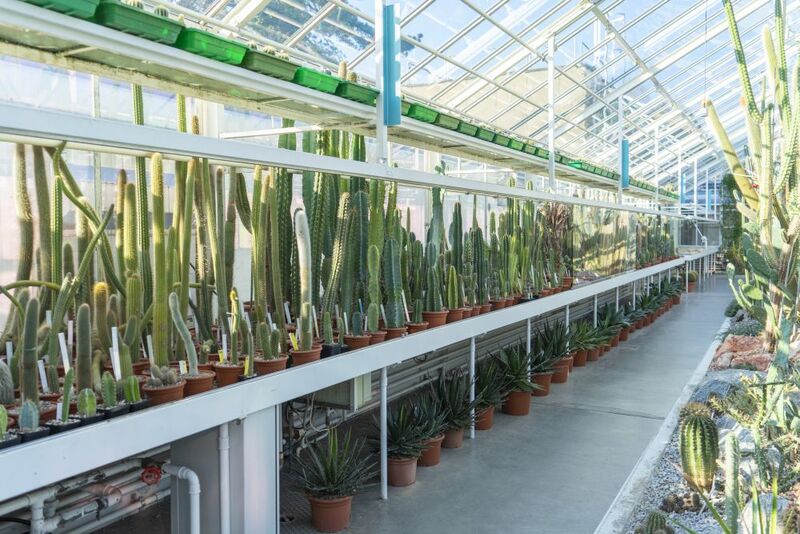 In the seven greenhouses you can walk past the entire collection that consists of 4500 different species from 78 plant families. Take at least an hour (or better… a few!) to wander around the greenhouses and admire the huge variety of textures, shapes and colours of all the plants on display. The Sukkulenten Sammlung is located at a 20 minute walk from the city center, and a nice break from the buzzing city life. 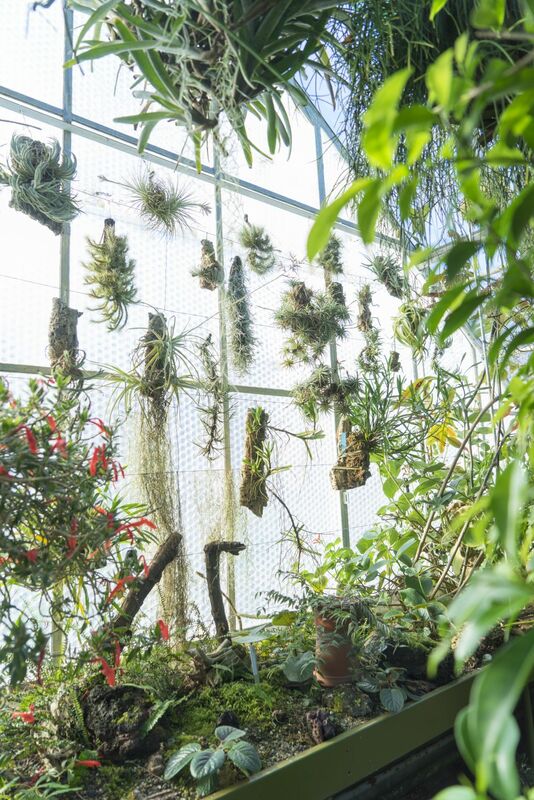 In this tropical “mini rainforest ecosystem”, you get to experience animals in their natural habitat. Covering a total area of 11,000 m2, it is home to geckos, turtles, snakes, parrots and many other rainforest creatures. 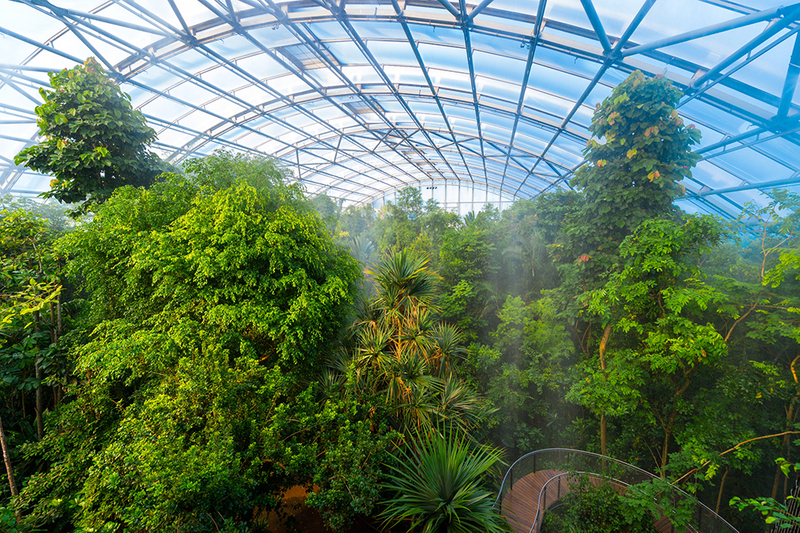 All information about the Rainforest in the Zoo, can be found HERE. This is what you would call a real Urban Jungle Bloggers café: a nice selection of yummy sandwiches and salads that you can enjoy in a hip urban jungle with dozens of (real!) plants. The vibrant color of the interior of Pause match the green of the foliage. Not to be missed if you’re in the neighborhood! 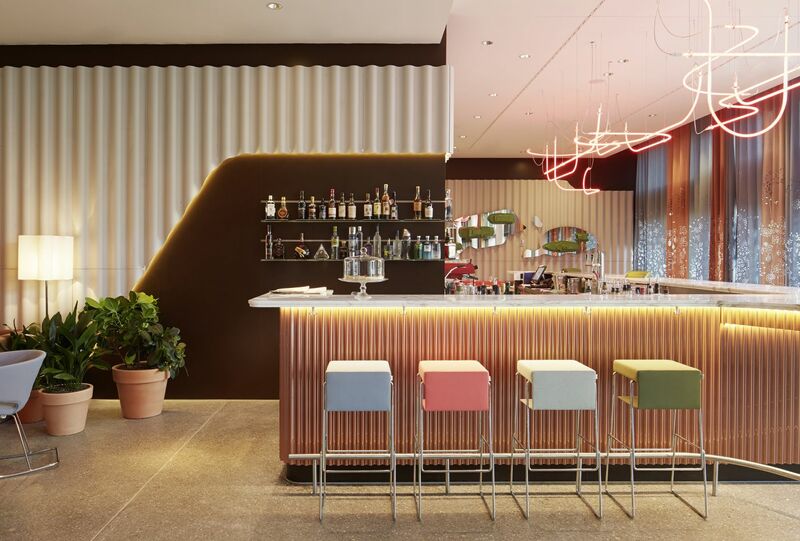 In the cool 25 Hours Hotel Zurich, with its jungle-ish hotel lobby, you’ll find the Zurich West location of restaurant Neni (they also have a location at the Langstrasse). Neni serves dishes from all around the world, but have a slightly Oriental vibe. Think: humus, spring rolls, hamshuka, Tel Aviv streetfood, falafel, Korean fried chicken, Romanian Sakuska… Yummm! 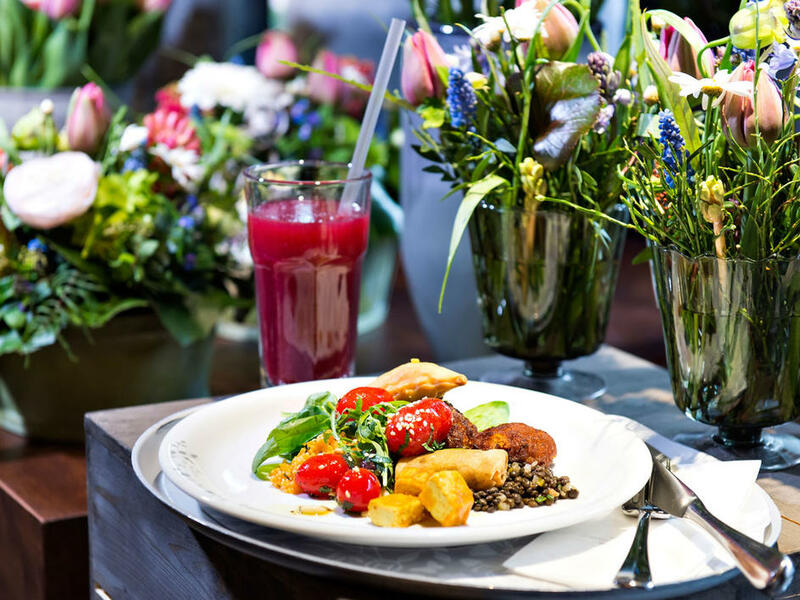 The world’s first vegetarian restaurant according to the Guiness Book of Records is in Zurich! And it is named Hiltl! 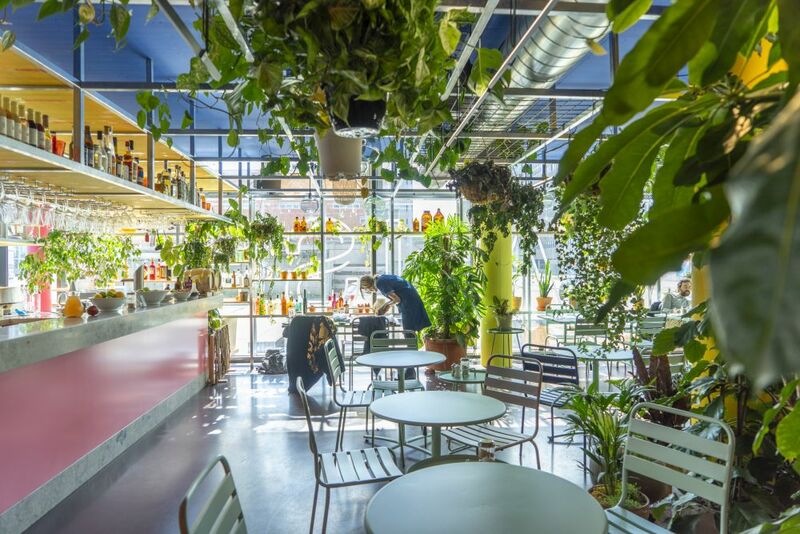 No wonder their various spots across the city boost with plants and greenery for an extra cool and healthy lunch break! Also check out their rooftop terrace and bar in the city center as well as their cute café/bar in a flower shop. All locations can be found HERE. 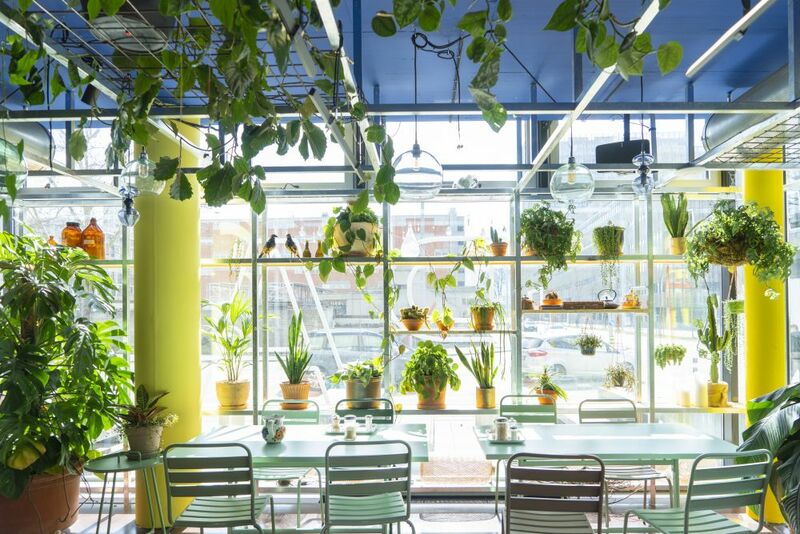 When a place is called “The Artisan – Kitchen & Urban Garden” you know it is the right spot for any Urban Jungle Blogger, right? 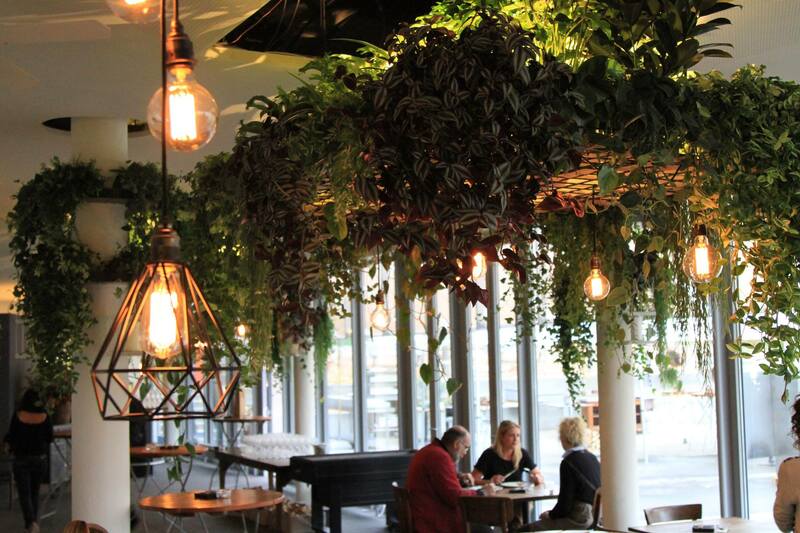 Delicious food, good coffee, a relaxed atmosphere and of course lots of greenery define this place. Go check it out when in Zurich – you can find The Artisan HERE.